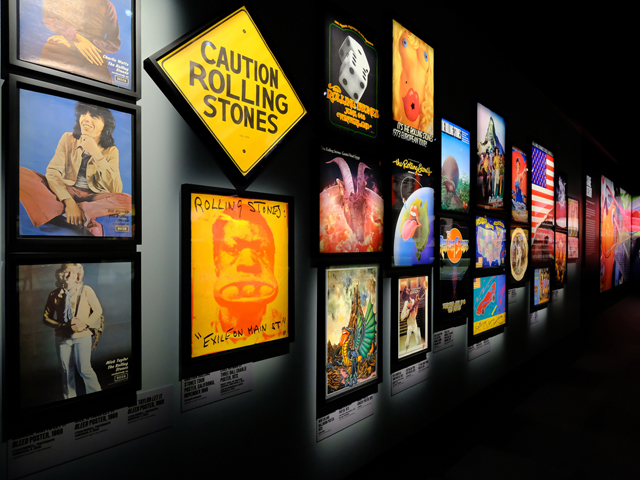 The Rolling Stones' first ever major exhibition, Exhibitionism: The Rolling Stones Exhibit, delivered by DHL, is coming to Australia this year exclusively to Sydney at the International Convention Centre (ICC) from Saturday 17 November 2018 through until 3 February 2019. Exhibitionism is the largest touring experience of its kind ever to be staged, and the first time in history the band has unlocked their vast private archive exploring the very beginning of their history to the Stones' superstardom of today. "We've been thinking about this for quite a long time but we wanted it to be just right and on a large scale," said the Rolling Stones lead singer Mick Jagger. "It's not going to be like walking into a museum. It's going to be an event, an experience. It's about a sense of The Rolling Stones – it's something we want people to go away talking about it." "While this is about The Rolling Stones, it's not necessarily only just about us," said the Rolling Stones' guitarist Keith Richards. "It's also about all the paraphernalia and technology associated with a group like us, and it's this, as well as the instruments that have passed through our hands over the years, that should make the exhibition unforgettable." "Exhibitionism is a celebration and thematic exploration of the creative life of a band that has managed both to stay current and stay true to its artistic vision for more than half a century," said curator Ileen Gallagher. "This was such a unique opportunity to collaborate with the band and get their insights into the project," continues Gallagher. "The quotes on the wall and all of the text in the exhibition is in the voice of the band or people who work very closely with them. You're actually having the band tell you what happened at the time." NSW Minister for Tourism and Major Events Adam Marshall said, "We are delighted to provide fans with the opportunity to see the Stones' collection in our Harbour City – the only Australian stop on Exhibitionism's global tour. The exhibit has been immensely popular where it has toured internationally, drawing huge crowds, and as an experience exclusive to Sydney we anticipate it will drive $35 million in visitor expenditure to NSW." Gary Edstein, CEO/ Senior Vice President, DHL Express Oceania said, "We're truly delighted to bring The Rolling Stones Exhibit to fans here in Sydney. Delivering more than 500 rare and priceless artefacts on behalf of the band is both an honour and a recognition of DHL's worldwide expertise."